DDOcast 246 « DDOcast – A DDO Podcast! Episode 246 is ready! Here’s a LINK to the episode – just left-click to play, right-click and ‘save as’ to download as an mp3. You can find DDOcast on iTunes, the Zune Marketplace and Cyberears.com. 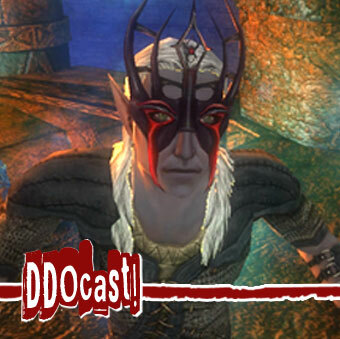 This week Sig and Anne talk about the latest DDO news as well as chat about the latest release notes on Update 13 form Lamannia. We also have a special interview on Marcy Rockwell’s latest DDO novel, Skein of Shadows, the prequel for Update 13 and Menace of the Underdark. We then answer a few emails from our listeners! LINK for Congratulations to Star on Argonessen for gaining Uber Completionist! Awesome show as usual…but OMG, thank you so much for introducing me to Professor Elemental. Brilliant! Thanks for Listening! We <3 Prof. Elemental!